While brand experiences can often be helped along by new and exciting immersive technologies, sometimes it’s simply an impressive dose of unbridled creativity that makes an experience special. Museo Atlántico exemplifies this perfectly. Using a remarkable combination of artistic design and special Ph-neutral marine cement, Europe’s first underwater museum was recently born after three years in the making. 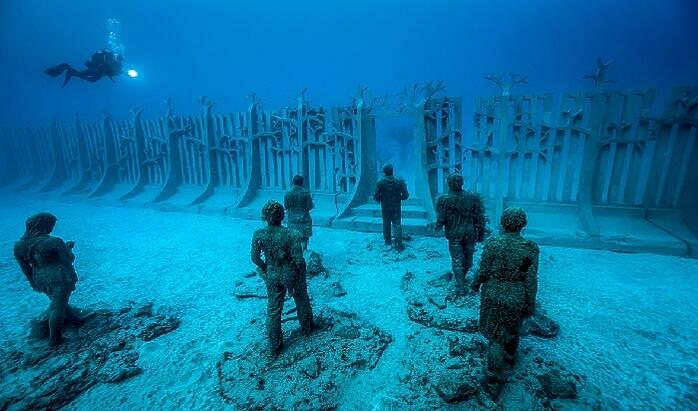 Located off the coast of Lanzarote, Spain, the permanent exhibition has been designed by artist Jason Decaires Taylor and supported by the Centres of Art, Culture and Tourism of Lanzarote. 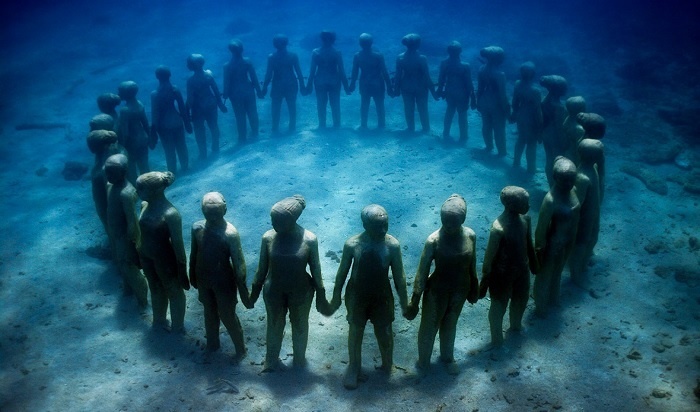 Covering 14 metres of the ocean floor, it features a total of 10 different installations with over 300 life-size human figures. But what makes the experience really noteworthy is its topicality. 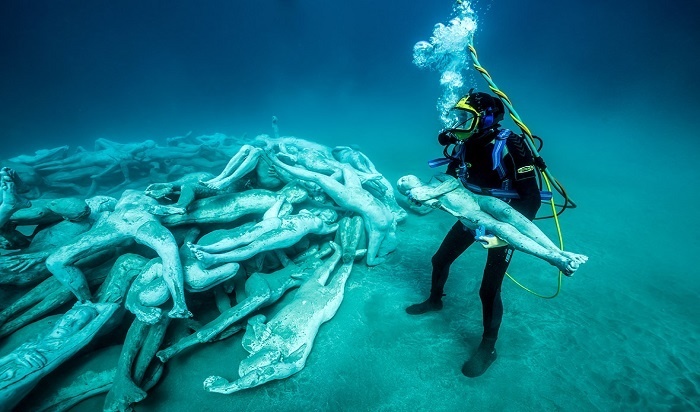 If the scale and ambition of the project wasn’t newsworthy enough, the underwater museum has attracted widespread international media attention by making bold statements on modern society – with installations including a couple taking a selfie, an overweight man watching TV, and a harrowing boat filled with refugees. The fascinating activation was designed to build awareness about the current threats facing oceans around the world, as well as to encourage coral growth to help increase local marine life in the future. Unquestionably, this extraordinary stunt is destined to leave a lasting impression on those lucky enough to encounter it. However, this isn’t the first activation that has dared to dive in to the deep blue sea; far from it. Sony Mobile also garnered huge media coverage and social buzz when the technology brand took an unexpected route to promote its waterproof smart phone. Will we soon witness more ocean floors around the world becoming platforms for experiential marketing campaigns? Only time will tell.